Kids in foster care (or maybe, kids in general…) sometimes have difficulty regulating their emotions. Dusty has to be aware of his internal stress (OK, it’s torque… he’s a plane – but for this analogy to work, I’ve gotta stretch it a little). Dusty has a meter to indicate his level of stress, and a warning light that will go off to warn him when he is reaching a point of stress that would be harmful. This could be a helpful analogy and tool for kids – what’s your meter at? Is your warning light going off? Dusty is a loyal friend. He also is able to deal with deep disappointment and to transition his attention and effort into other goals. Dusty also highlights the importance of communication. Blade Ranger doesn’t understand why Dusty holds back his efforts until Dusty tells him that he’s having mechanical problems. Then, Blade softens his approach, encourages Dusty, and ultimately gets him the help he needs. The film makes palatable the fact that even heroes have heroes – and heroes aren’t always the people who are celebrated by the general public. Dusty that advice has lived it out – he lost a friend in a crash, and committed his life to doing good. Also, the film shows that you can heal from disappointment and loss. The film will probably only appeal to younger viewers, and the scenes of fire are intense enough to be frightening to some. There are some jokes geared towards adults that young viewers won’t get, but might ask about. One character seems to be Native American, but portrayal uses dated stereotypes for laughs; it’s a little disappointing. 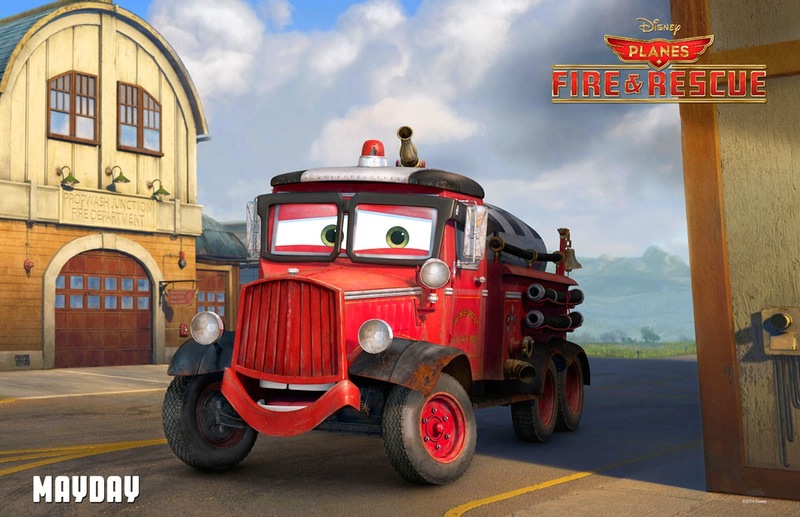 There’s actually quite a lot of positive stuff to take from Planes: Fire and Rescue. I really like the concept of a “torque” meter, and I’ll suggest an activity based on that in a minute. 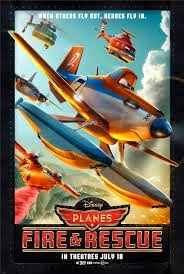 The movie doesn’t have too much of a story, and it feels like it could have fit into 40 minutes rather than the 70 it actually takes, but little kids probably won’t mind. It probably is best suited to kids 8 and under. When have you been disappointed so badly that you wanted to quit? What did you do? 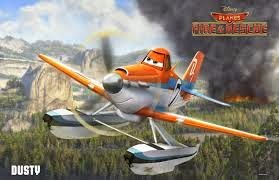 What would have happened if Dusty quit training to be a rescue plane? Why did he keep trying? What finally happened? Why not make a “torque” meter for each kid (and adult?) in your family. Try a paper plate with a construction paper arrow, fastened by something that’ll let the arrow spin around freely. What an interesting way to enter into conversations about emotions and energy levels, and to facilitate self-awareness among your kids.